PDF files often contain various information that users would like to edit for their own purposes. However files of this type are not editable without additional software. If you would like to edit PDF files as graphic designs, you will need to export it to some graphic format like TIFF. In various programs for reading files in PDF extract TIFF is not a standard feature. 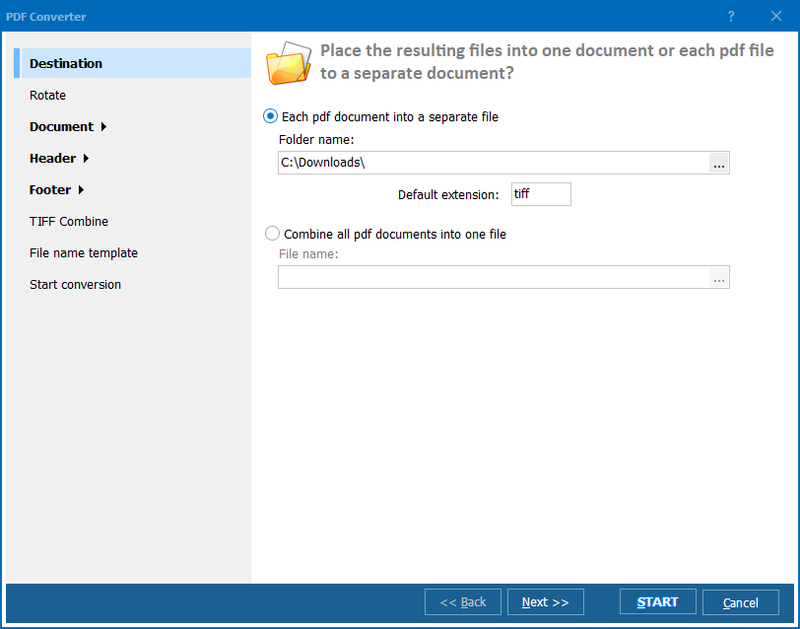 A utility that can do this correctly and quickly is Total PDF Converter. 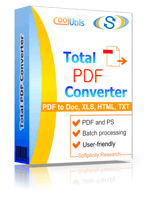 Total PDF Converter can perform all these tasks! 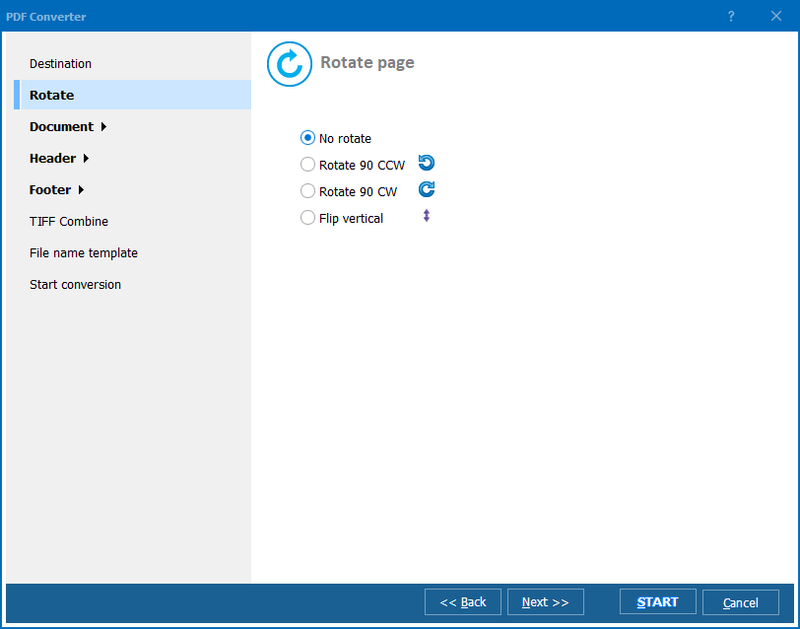 Moreover, it offers a handy built-in renamer to give new descriptive names to extacted pages. Gibe it a try - the free 30-day copy is available right now! You can either convert entire PDF file into one TIFF image (multi-page) or export each PDF source page into separate TIFF image. All these settings are not compulsory. Just use them when needed. It will maximally save your time, if you convert PDF to TIFF with default settings. In this case you need only to press Start! button in settings wizard. 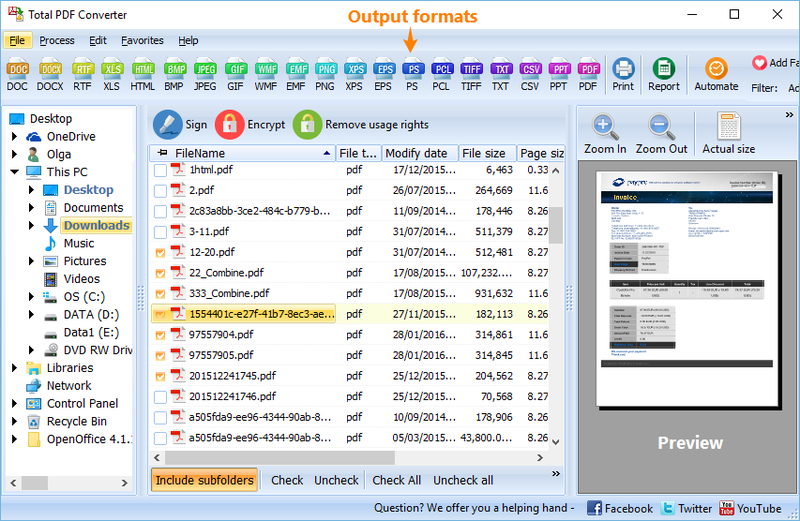 Total PDF Converter is available here - get your copy and test it in action for free!